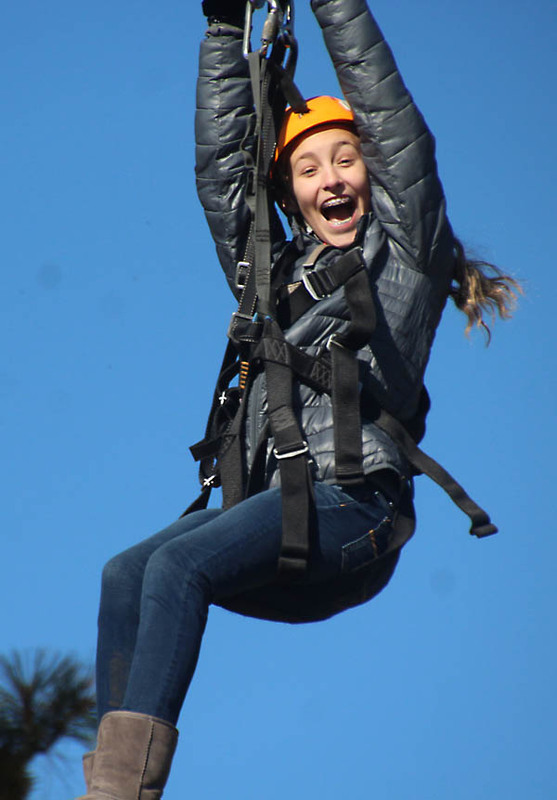 Thanks for visiting the home of Idaho's ultimate zip line tour company. Based north of Boise in Horseshoe Bend, Idaho we provide a unique eco-adventure that combines tree based canopy-tour style zip lines with lines up to 2000 ft.
Zip lining is a great half-day activity for CORPORATE GROUPS, FAMILIES, PARTIES, REUNIONS, and DATES. Thanks for visiting the home of Idaho's ultimate zip line tour company. We are based in Horseshoe Bend, Idaho and provide a unique eco-adventure that combines tree based canopy-tour style zip lines with lines up to 2000 ft. We are conveniently located just a half-hour north of Boise on Highway 55. This location is a nature lovers dream; whitewater rafting, swimming from sandy beaches, mountain biking, fishing, and train rides are a few other activities that you can enjoy while you are in the area. Zip lining is a great half-day activity for CORPORATE GROUPS, FAMILIES, PARTIES, REUNIONS, and DATES. Also, give the Gift of Zipping for birthdays, weddings, graduations and any other occasion! While fun is our goal, safety is our #1 priority.